There are many different kinds of barcodes. Each type is known as a “barcode symbology”. Perhaps the most common type of barcode is the U.P.C. but U.P.C. 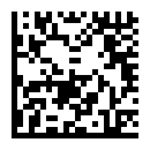 is just one of many different symbologies; below you’ll find additional sample barcodes. Each symbology has its own features and benefits and certain industries or application areas have adopted certain symbologies in order to use some particular feature or benefit of that symbology. Each has its own barcode symbology identifier traits. Regardless of the symbology, it’s essential to use a barcode verification to ensure successful scanning. Not only are there many barcode symbologies, but there are several general types of symbologies: Linear, Multi-row stacked, and 2D Matrix. The most common type of symbology is Linear, and U.P.C. is an example of a linear symbology. The barcode symbology identifier of linear types is that encode data in the pattern of bar and space widths, in a single row of bars. In a linear symbology, a group of bars and spaces represent a data character with a defined structure, usually a fixed number of modules and a fixed number of bars and spaces. It is this characteristic of linear barcodes that makes them “self-clocking”. These can be scanned easily by a line scanner such as a laser scanner or a linear CCD. 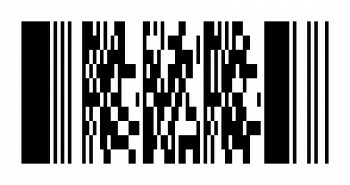 Other sampl e barcodes include multi-row stacked symbologies, such as PDF 417, which extends the idea of a linear symbology by using multiple rows of bars. Each stacked symbology has a method of encoding position information so that the data in the various rows can be associated together in the correct order. Data is still encoded through the patterns formed by the relative widths of bars and spaces and the characters are “self-clocking”. This is why multi-row stacked symbologies, like regular linear symbologies, are line scannable. 2D Matrix symbologies encode information by the color of each cell or module. 2D Matrix sample barcodes show each cell or module encoded a single bit (1 or 0) based on whether it is a bar or a space. The location of the cells are determined by an image processing algorithm which used the fixed pattern of the symbol to map the locations of the individual cells in the symbol. These symbols, are not line scannable and are only read by 2D imaging devices, usually CCD or CMOS area imagers.